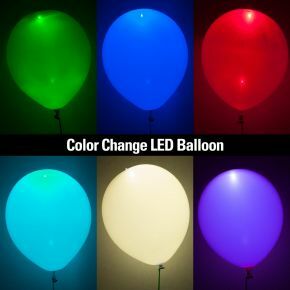 These balloons contain a bright LED light inside an orange balloon. 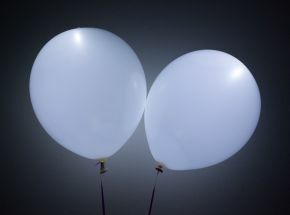 By pressing the button at the tip of the balloons, they toggle between fast flashing, slow flashing, and steady on. Perfect for birthdays and Halloween parties! These balloons contain a bright LED light inside orange balloons with a jack-o-lantern face on them! 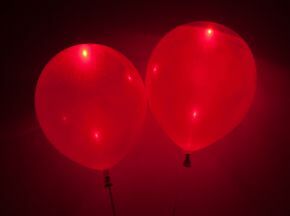 By pressing the button at the tip of the balloons, they toggle between fast flashing, slow flashing, and steady on. They're perfect for Halloween parties!